The Longhorned tick is an exotic, East Asian tick. Prior to its identification last fall in New Jersey, the Longhorned tick was not typically found in the United States. It is a serious pest of livestock in its native regions and the means of introduction into the U.S. is unknown. 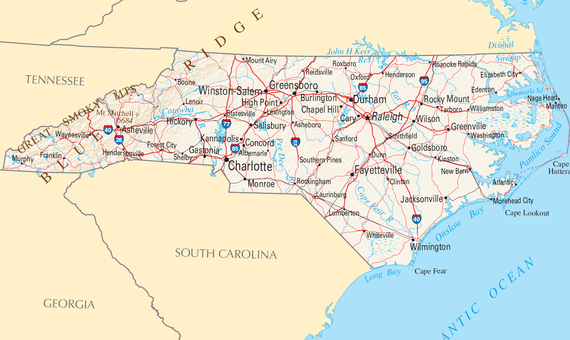 Its presence in N.C. signals the need among livestock producers and residents for greater awareness, surveillance, and tick control management. It is an aggressive biter and frequently builds intense infestations on animals causing great stress, reduced growth and production, and blood loss. The tick can reproduce parthenogenetically (without a male) and a single fed female tick can create a localized population. It is a known/suspected carrier of several viral, bacterial and protozoan agents of livestock and human diseases. Known as a three-host tick, this tick can spread pathogens among a diverse host range on which it feeds. While the Longhorned tick has not been linked to any human infection in the US, the N.C. Division of Public Health is working with NCDA&CS to understand its distribution and monitor for diseases it may carry. The finding of this tick in the state corresponds with an effort by the N.C. Department of Public Health to identify ticks in all 100 counties of the state. Veterinarians are asked to submit ticks they find on clinical patients to help track and identify tick populations in North Carolina. Ticks attack all domestic animals, wildlife and people. The best way to control diseases spread by ticks is early removal. Prevention remains the best method to deter tick-borne illnesses. Showering immediately once you return home and checking for ticks can help to deter tick attachment.Protect yourself while outdoors by wearing long clothing, wearing permethrin-treated clothing, and using DEET, picaridin, and other EPA approved repellants. Finally, talk to your veterinarian about options to treat your pets and livestock for ticks.